The Prime Junior Golf Academy was created by Stephane Damiano, a renowned golf coach with more that 20 years of coaching experience at the highest level. Since its creation in 1990, Stephane Damiano's Junior Academy has allowed hundreds of young golfers to live their passion at the highest level. The most remarkable example of Stéphane’s coaching experience is Victor Dubuisson (best world professional ranking is N15, best professional golf player in the French golf history). 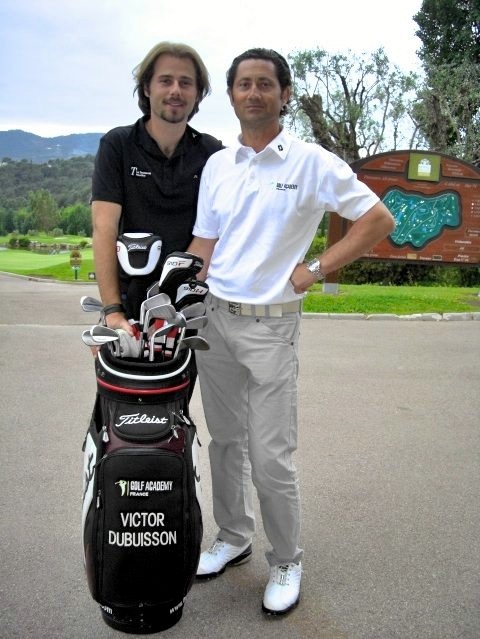 Stephane discovered Victor Dubuisson at the age of 8 y.o and coached him until 14. The logical continuation of Stéphane Damiano's passion for golf was to obtain the license of a sport agent for golf players to participate at the launch of Victor Dubuisson's career on the European Tour during 2009-2010. In 2011-2012 Stephane coached Victor again on the European Tour. Today our team of professional coaches put all their knowledge and experience to allow our students to progress as individuals, become independent and responsible, preparing them to succeed in their lives.